Coverage of major sporting events is difficult to escape: whether it is the World Cup, the Six Nations, Wimbledon or The Tour de France, it is regularly in front of our eyes, on the television and in the newspapers. It is the main talking point in the news, perhaps more than the NHS crisis or halting Brexit negotiations. Players’ names and faces become familiar; results are publicized far and wide and key events quickly become assimilated in our culture. The tournaments begin with people selecting favourites: a national team, a vital player or a big personality, and then the show begins. For me, it’s like any good novel: there are heroes, villains, injustices, triumphs, laughter and tears. We have underdogs, someone to root for and someone who is dangerous, whom we will fear: the opposition. We hope and pray that things will go the way of our heroes and we hold our collective breath as they set forth on their quest for victory. There will be adversity on the way – offside goals, penalties, red cards – but we hope that it will all end happily ever after for those players we support. 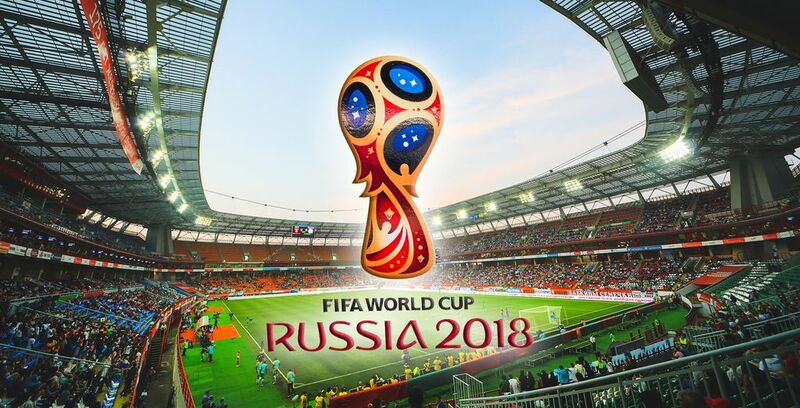 In terms of the 2018 World Cup football tournament in Russia, the English media and fans are hopeful that their team will make a respectable showing. Fans will never lose sight of the iconic memories of 1966: Bobby Moore hoisted on top of the victorious team of cheering players, his fist clutching the Jules Rimet Trophy. The moment 52 years ago that England last won the World Cup is fixed in the minds of the English fans, whether they are old enough to remember it or not, because it has been so long since England had a football team who could go close to emulating Moore’s men. They long for football to ‘come home’ again. Of course, there are the football haters who echo Guy Martin’s words: ‘I have nothing against football. It just seems very wasteful losing 2 hours of my life to watch 22 millionaires on TV chasing a bag of wind in their underwear.’ Martin has a point: he is a motor cycle racer turned TV presenter and it must be frustrating to adore and participate in such a thrilling sport where coverage is marginal. Footballers are paid a great deal of money and live a life of luxury. That is the case for many people and we are all aware of the gap between rich and poor. The difference in salary between the Premier League and lower leagues is huge. In the Championship the average salary is between £7.500 and £8.500 a week. The top players in the Championship can earn around £80.000 a week. The average salary in League One is between £1.700 and £2.500, and in League Two it’s between £1.300 and £1.500. Still above average, but hardly enough for a life of luxury. Many working class boys around the globe practise football skills from an early age in the hope that they can one day live the dream of being a sporting hero. Few achieve it. This brings me back to the World Cup. Before this year’s tournament even began, the media machine was underway, thrilling us with episodes from the soap opera which is football. We held our breath wondering whether Mo Salah would start for Egypt, given the arm wrench he received from the dark lord of tackles, Sergio Ramos, in the Champions League final. We witnessed the sacking of Spain’s national coach. England’s Raheem Sterling was criticised over the gun tattoo on his right shooting leg, until it was revealed that he’d vowed to ‘never touch a gun’ after his father was shot dead when he was a boy. The World Cup has historically had its fair share of memorable controversies. 1986 brought the ‘hand of God’ moment where Diego Maradona, one of the greatest players ever, cheated by handballing a goal. In 2006, English referee Graham Poll booked the same Croatian player three times in match against Australia. (Two yellow cards constitute a red card sending off.) In the same year, Zinedine Zidane of France was sent off in his last-ever match, for butting an Italian player in the chest in retaliation to a verbal provocation, apparently about his mother. 2006 was a red card year for England too: Wayne Rooney was given his marching orders for stamping on a Portuguese player’s foot in the quarter finals, thereby contributing to England’s low chances of progression beyond that stage. So there’s no shortage of best-seller material – scandal, horror, violence, tragedy, intrigue – but what about the romance, the love interest? I suppose that is where the supporters come in. We see them on the television, throngs of happy singing men with their shirts off, their whole national flag painted over their faces and bodies. Gone are the days of simply waving a rattle – this is full-on passion. And of course, like all mindless passion, it is about the heart ruling the head. When the team win, they are adored, idolised, their names chanted in songs which laud their prowess and promise eternal devotion. And when they lose, they are brought low, deemed flawed, despised, their names dragged through the mud and of course, all fans are technical experts and know what was needed to win, to alter the outcome, to change the game.